To end off the year here on The Writers’ Lens, I wanted to showcase one more great writer and novel. 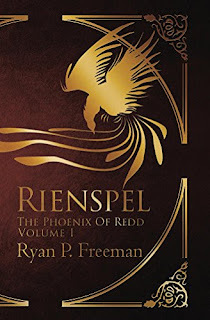 Ryan P. Freeman has created a hi-fantasy epic with his latest novel Rienspel. Rien Sucat wiles his days away, bored-stiff in his small backwoods village. But soon gets more than he bargained for after he befriends a magical Phoenix, accidentally witnesses a secret necromantic ritual, and comes face to face with a league of racist, knife-wielding assassins out for his blood. Travel with Rien as he and the Phoenix journey from the unassuming Rillian village of Nyrgen through the enchanting depths of the Great Wood where the unquiet dead lurk, to the high north country of Firehall - elusive sanctuary of the Elves. Launch into an epic quest with consequences farther reaching than Rien could ever possibly imagine. Rienspel is about heart. It is about family and about how the power of love played out in everyday life often carries lasting consequences. Rien’s tale transcends the dim shadows of our own world by revealing the lingering power we all carry through how we live and treat others. It is a tale about the Story we all reside in which readers both young and young-at-heart will find compelling. As C.S. Lewis once penned for his colleague and friend J.R.R. Tolkien, so it is with Rienspel, ‘here are beauties which pierce like swords or burn like cold iron. Here is a story which will break your heart”… and re-forge it anew in Phoenix-fire. I sat down with Ryan for a moment and asked him about Rienspel and his writing process. The stories which need to be written are the ones which stick with you, knocking on your doors and tapping at your windows until you finally give in and sit down to write them. Then, after you've pounded your head against the desk and resisted checking social media for the 10th time, the characters poke their heads out, like shy actors on a stage - your own deliberate words come sometime after. What are your top three reasons for writing? First, I am writing for myself - for the sheer enjoyment. I wind up getting these story ideas, and I catch myself wondering, ok - what happens next? And so I have to keep writing to find out. Yes, you have to love what you write. Second, I'm writing for others. One of thing things I learned from my time in radio was to get a picture of a listener from an event, and then stand it up whenever I would go on-air back at the studio. When I'm writing, I'm talking to this person/people - they're my audience. Third, I'm writing to explore real, legitimate questions about life, the universe and everything - and while everything I write apparently comes out looking an awful lot like fantasy, I'm deadly-serious about my pursuit for understanding. What's your favorite way to interact with fans/readers? I'm looking for others to share common passions, loves, and questions. Usually, this means either face-to-face or through animated Facebook messaging. How much fact is in your fiction? I often wonder just how much this distinction is illusory. One of my passions is for pan-mythology - the notion about how many popular myths appear to all be telling similar stories; so in the world of my stories, one of the things I'm trying to do is actively explore how all these parallel myths could weave together into one cohesive tale. In short, just how much fact is in my fiction? All of it (none of it). One last question, which line did you struggle with more, the first or the last? Honestly, I think I struggled with the first one more. I'm a firm believer in the Law of physics which says 'Objects in motion like to stay in motion'. When I first began Rienspel, neither my story, nor myself were in motion at all! I think I ended up going through three or four different drafts before I finally settled on where in the story I wanted to begin, and how to go about it. Thank you, Ryan, for answering my questions. Ryan P. Freeman is a fellow adventurer. After miraculously surviving childhood cancer and several near-death experiences, he launched into the world of AM talk radio, hosting his own live program out of Albuquerque. 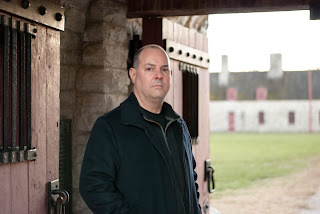 Ryan is a former International Red Cross guest speaker, Pastor, and medieval-enthusiast; loves sampling craft-beers, is an unapologetically proud kilt-wearer, and proud member of the St Louis Writers Guild. Ryan also contributes to The Scribe Literary magazine. In his down time, his interests range from exploring real-world pan-mythology, survivalist camping, and copious video gaming. Early bird registration ends Dec. 31 for Gateway to Publishing, a writers conference and FREE readers convention at the Airport Renaissance Hotel June 16, 17 and 18, 2017, in St. Louis. St. Louis Writers Guild will host the weekend-long event, which features multiple workshop tracks for writers, a book fair, and marquee events for readers. A Conference for Writers and a FREE Convention for Readers! 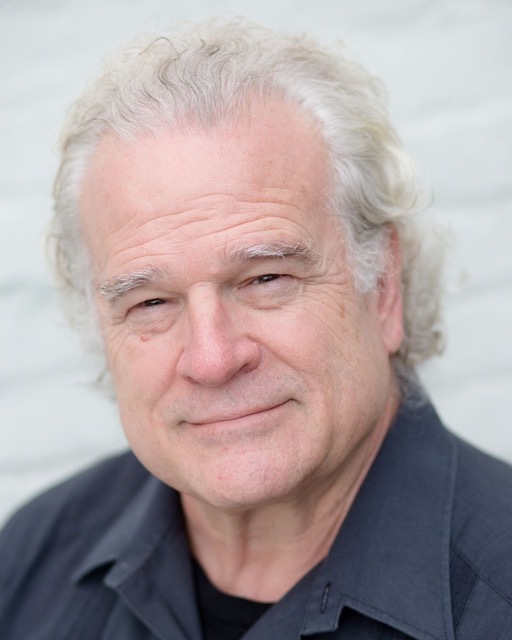 Bestselling author Van Allen Plexico will discuss why “Pulp Fiction Isn’t Just a Tarantino Movie” from 10 a.m. to noon, Jan. 7, at a workshop hosted by the St. Louis Writers Guild. Held at a new location -- in the Dogwood Room at The Lodge Des Peres, 1050 Des Peres Rd, St. Louis, MO 63131 -- the workshop is free to Guild members, $5 for nonmembers. - How do you write it? - Who's publishing it today? Plexico won the 2015 Pulp Factory Awards for both Novel of the Year and Anthology of the Year. He is the Amazon bestselling author of more than a dozen novels and numerous short stories, novellas, nonfiction books, columns and essays from a variety of publishers. In addition to his ongoing SENTINELS illustrated superhero novel series and his SHATTERING space opera series, he has written two bestselling nonfiction books about Marvel’s Avengers, as well as being selected to write the year-by-year history of the Avengers for Upper Deck’s commemorative trading card set. He has written the adventures of many classic pulp characters for various publishers, including Sherlock Holmes, the Griffon, Hawk, Mars McCoy, Gideon Cain and Lance Star. John Blackthorn, a pulp character he created in 2011, won the New Pulp Award for Best New Character that year. 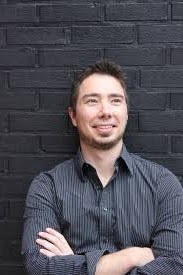 His biweekly interview program, the White Rocket Podcast, was a finalist in the 2015 Parsec Awards. An Associate Professor at Southwestern Illinois College, he has appeared as a guest, speaker, presenter and event host at dozens of conventions and literary festivals across the U.S. Please note the new location for the Guild’s monthly workshops. For a map and directions to The Lodge Des Peres, as well as additional information about the St. Louis Writers Guild, go www.stlwritersguild.org. 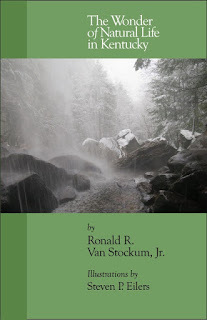 Welcome to Ronald R. Van Stockum, Jr.’s academic degrees include a Bachelor of Science in Biology from Santa Clara University, California, May 1972; a Masters of Science in Biology from the University of Louisville, May 1975; a Ph.D. in Biology from the University of Louisville, May 1979; and a Juris Doctor in Law from the University of Louisville, May 1979. Prior to entering the private practice of law, Dr. Van Stockum was an attorney for the Natural Resources and Environmental Protection Cabinet of the Commonwealth of Kentucky. He has been in the private practice of law as a sole proprietor since 1981. Dr. Van Stockum practices from his office in Shelbyville, Kentucky. Dr. Van Stockum is published in the areas of biology, history, environmental law, and creative writing, and has addressed these topics in numerous presentations and seminars. His resume can be found at www.vanstockum.com and contains a complete list of his publications and presentations. He is past Chair of the Kentucky Chapter of the Nature Conservancy and has served as Vice President of the Filson HIstorical Society. He is past Chair of the Environmental Law Section of the Louisville Bar Association and past Chair of the Kentucky Bar Association, Environment, Energy & Resources Law Section. He is also past President of the University of Louisville Alumni Association. Dr. Van Stockum currently serves on the Oil and Gas Work Group for the Kentucky Energy and Environment Cabinet working on revisions to oil and gas statutes and regulations. 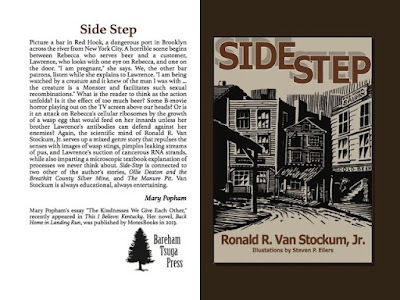 Dr. Van Stockum has published six short stories and two novels of fiction science and magic realism. The first is entitled Markman's Home, and the second, Cosmos, the Stellar Stalker. 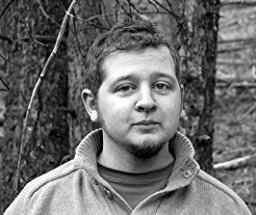 He has also recently published his nonfiction short story entitled, "The Wonder of Natural Life in Kentucky." The Writers' Lens is about "bringing fiction into focus." What brings your writing into focus-the characters, the stories, the love of words? Feelings compel me to write. They are strong enough to continually nag at my consciousness, seeking an outlet of expression. When I give way to these urges to write, I blend in scientific subjects that I am studying. How do you find time to write and do a demanding job? There is time in between other activities to write copiously. The only requisite is the activation of energy to get started and the reward that one feels in expression. It is remarkable how much time is available "in between." Of course, one looks somewhat unsociable sitting at a social engagement and writing, but my friends have become used to it. What inspired your latest book? My latest book is a novella that bridges one of my earliest and lengthiest books, Markman's Home, into the third of my novels, Xortal. I needed to expand on the ending of the first novel so as to increase the diversity and delight of the characters as they further interact under new circumstances. In addition, I have had the pleasure of listening to Brad Cook lecture on points of view. If, in my thought process, I feel naturally comfortable in moving from one point of view to the next, then I am convinced to write that way. Multiple points of view in the same chapter. So, the inspiration of my book is two-fold: one, topic and the other, technique. 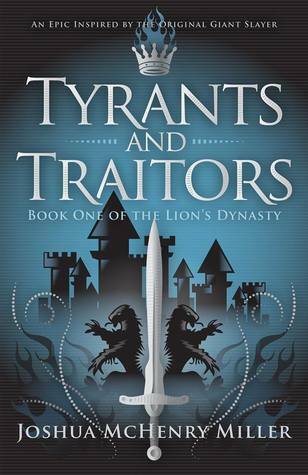 What do you think readers will like about your book? I think most readers will find plot forwarding through different points of view to be either captivating or distracting. I intend to "capture" them by continuing to write in an action/adventure speed with unusual descriptions of human nature allowed by the varying points of view. Will you share a bit about your next project? I am a scientist and also a lawyer. I write a great deal of professional material in both science and the field of environmental law. I have been recently contacted by a law journal seeking the submission of an article regarding agriculture. I would entitle it "The Wondrous Journey of Food-Our Relationship Through the Ages." I have found success in merging my nonfiction, technical style of writing with my creative fiction style of writing. That breakthrough came in a long short story entitled, "The Wonder of Natural Life in Kentucky," which has been very well received. I would anticipate writing this new book, which deals with the history of food, in a similar fashion. What is your favorite way to interact with fans/readers? I enjoy promoting my books at conferences and seminars. Although conversation limits the number of books one can sell an hour, the ability to meet and get to know a potential buyer is a satisfying exercise. Their willingness to engage in a journey through your writing when they purchase one of your books, is even more gratifying. Of course, when they return at another conference to tell you how much they enjoyed your work, well-that's simply "the cat's meow." What are your top three reasons for writing? 1) passion; 2) love; and 3) interest. What is the highest compliment someone could make about your writing? There are two: a) It was fun; and b) I love your footnotes. What is your favorite writing accessory or reference? I am a speed printer, so having a mechanical pencil with an effective eraser and a double-backed yellow pad makes me exceptionally comfortable and efficient. That is how I am writing now. There are many references in the writing that I do, but I am always pleased when I am able to bring out the original Oxford English Dictionary. There is history of writing in that great work even if it takes a magnifying glass to examine! What tune/music could be the theme song for your book? "River Nights," by Reginald Bareham. You can find it on vimeo under "Reginald Bareham." It is also on the sound track of the educational television documentary, "Harry Caudill, A Man of Courage." If you could meet one of your characters, who would it be and where would you meet? I am with them all of the time.